Many of us struggle with putting words around attitudes and ideas we bring into life. One concept that makes sense to me is having an attitude of ‘abundance vs. scarcity’. We all bring a variety of mental and emotional baggage to the world and a lot of us bring an attitude of scarcity. The roots of this are many. Secular anthropologists or psychologists trace this back to more primitive times and say the roots of this are wired into our brains from generations of limited resources. There is true to this – the material abundance we see today in much of the developed world is unprecedented. But a student of the scriptures knows that out of the abundance of the heart the mouth speaks, and also as someone ‘thinketh in his heart so is he’, so we know that our actions are dictated by our thoughts which are dictated by the condition of our heart. Thus an attitude of scarcity is a condition of the heart or spirit. The student of the scriptures also can trace this back to throughout human history and the scriptures to the very first two humans born on earth. Able had an attitude of abundance that changed his thinking which changed his very actions. “Able brought fat portions from some of the firstborn of his flock. The Lord looked with favor on Abel and his offering”. His brother went the other direction. I see this in those that feel called to go to seminary, but don’t know how they are going to do it. I risk painting with too broad a brush, but one way I see this played out is in our attitudes towards debt. An attitude of scarcity says ‘there isn’t enough money’ or ‘I don’t have enough (money, resources, time, intelligence, etc. )’, or a defeatist attitude like “I’m going to have to take out a lot of debt”, “My family isn’t going to get any of my time”, or “I won’t be able to learn Hebrew”. The truth is that “The blessing of the Lord brings wealth, and he adds no trouble to it.” You can go to seminary and do it in a way that doesn’t handicap you and your family financially for years to come. You can take a full load of classes and still be a great husband, wife or parent. You can work in a local church and be critical part of a vibrant local ministry while going to classes. 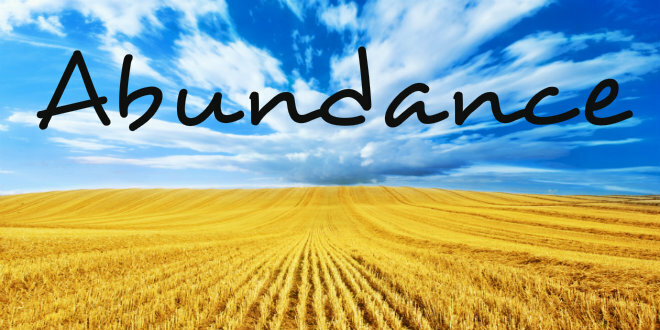 The tools and resources you need are available, but it begins with an attitude of abundance. My hope is that God will supply all my needs (time, talent and treasure) according to his goodness and glory in Christ Jesus, and so I take a step (evidence) toward what I hope for being certain of what I do not see.